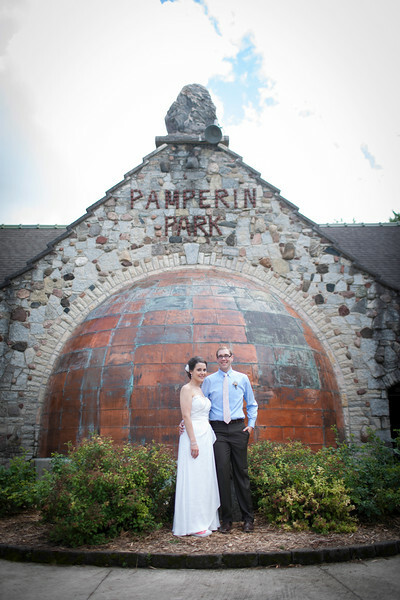 Green Bay - Fornear Photo | Husband & Wife Wedding Photographers Traveling the Midwest & Beyond! Who wouldn't want a Green Bay wedding?! Sure when most people think of Green Bay Wisconsin the first thing they think of is the Green and Gold, the Green Bay Packers... and for good reason! The Green Bay Packers along with Lambeau Field is a huge part of Green Bay, but not all of it. There are many great new craft breweries, hiking/biking trails, gardens and even some family fun at Bay Beach. Fun fact, did you know that Green Bay Wisconsin is not only Titletown USA but also the Toilet Paper Capital of the World?! Some great wedding venues in Green Bay include the Green Bay Botanical Garden, Badger State Brewing Company, Titletown Brewing Company, The Marq, the Swan Club, the Radisson Hotel & Conference Center, Green Bay Distillery, Vandervest Harley-Davidson of Green Bay, Pamperin Park, The Rock Garden and Lambeau Field. Contact Fornear Photo today for all of your Green Bay wedding photography, family photography, portrait photography or event photography needs!